Yawwwwwwn!…. 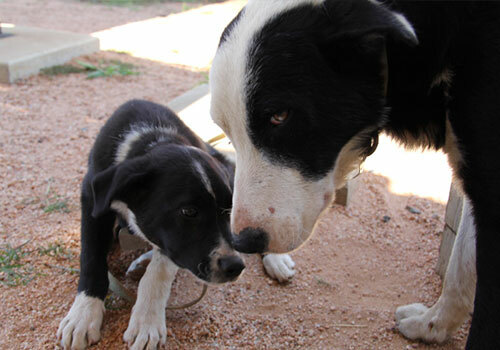 Buster the black and white Border collie puppy did a big stretch as he opened his eyes early one morning on Blue Gum Farm. 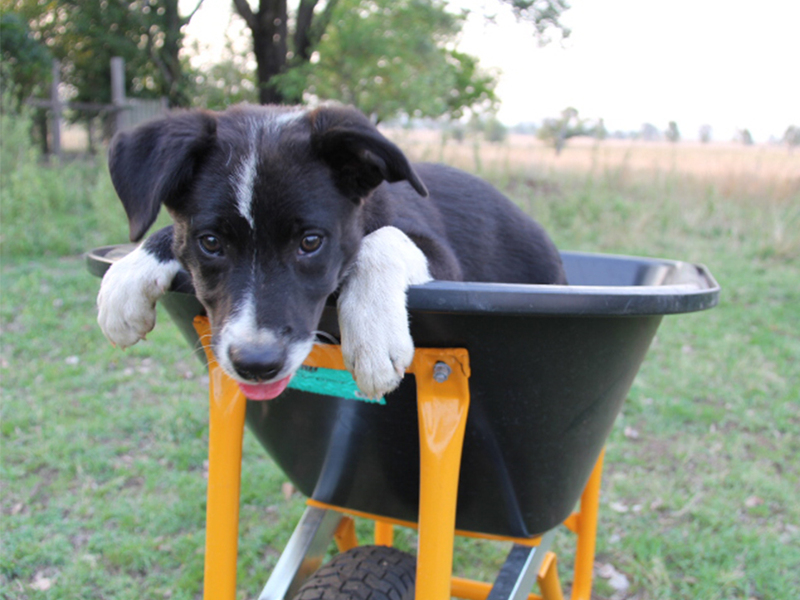 Buster was 12 weeks old and he had just moved to Blue Gum Farm to start his new life as a cattle dog. Before he came here, Buster was still living with his Mum and brothers and sisters so, although Buster was a bit unsure about what to expect from his new home, he was very excited. Buster had his own kennel that was cosy and warm for him to sleep in and he was also wearing a collar for the first time. He thought it looked very smart (and made him very grown up) but it did tickle a bit because he wasn’t used to it yet. 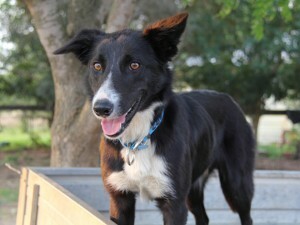 Buster was waiting at the door of his kennel when Farmer Joe came to collect him that morning. He jumped around and wagged his tail so much that he almost fell over with excitement. Joe had saddled up his horse and was going mustering with all of his cattle dogs. The next day Buster was again waiting excitedly at the door of his kennel when Joe came out to pack the ute and go to work. “Ah yes, let’s go to work” said Buster as he waddled over to the ute and sat down on his little fluffy bottom waiting for Joe to lift him into the back. “Not you Buster, you are too little to go to work. You can stay behind and help Grandma in the garden”. “Yeah you can’t come to work with us. You are too little.” said Charlie in a mean voice as he leapt into the back. Buster started to whimper in his little puppy voice as the cloud of dust settled from Joe driving off up the road. “Oaoaoaooarh” he squeaked but soon he spotted Grandma heading for the garden pushing the wheelbarrow. “Ooh that looks like fun!” he thought as he ran over to the wheel barrow and hopped in for a ride. Many weeks passed and Buster had come to enjoy staying at home and helping around the farm while the other dogs went off to work. Buster didn’t know it but he was growing very quickly. He was becoming a tall lean dog, who was strong and quick on his feet. He could run for miles without getting tired and his sense of smell was so good he could always tell where Grandma was on the farm just by using his nose. One morning Buster was helping Grandma with the chores when Joe came to collect the dogs to take them to work. He heard Charlie chuckle under his breath “See you later little puppy. You’re not coming ‘cause you are tooooo little! Have a good day doing baby things!” But he didn’t take any notice and kept on going about his chores. “Buster! Hey Buster, come here!” he heard Joe yell. Buster stopped what he was doing and galloped over to the ute where Joe was waiting. “You’re coming to work today Buster” he said “And Charlie you can stay home. You are getting a bit tired lately so you can have a rest”. 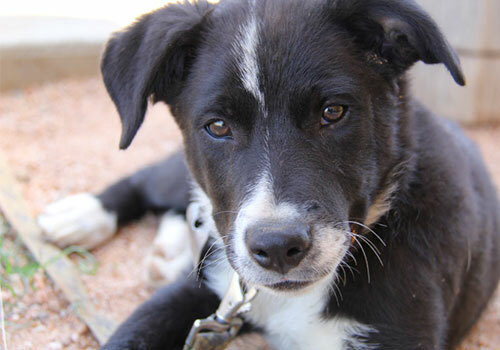 Charlie scowled as he hopped out of the ute and slunk back to his kennel. He knew the day was coming when Buster would join the working dog team and he couldn’t help being jealous.